For the casual observers of Real Madrid, the club history is defined by 3 men: Santiago Bernabeu, Alfredo Di Stefano and Florentino Perez. These were the men who turned the world around, as they sought to make Real Madrid the centre of the football world. The late 50’s and the early 60’s years were dominated by Di Stefano, where both the man and club acquired almost a mythical status. Trophies came in by the bucketful and goals were scored aplenty. To put this statement in perspective, Real Madrid won 8 La Ligas and 6 European titles in the years from 1955-1965. This made Real Madrid believe that the football titles were theirs by divine right and such glory made them giddy on success. To live up to such a phenomenal era was certainly an unenviable task and the thankless job fell to the team affectionately called as “Ye-Ye” team. The name “Yé-yé” came from the “Yeah, yeah, yeah” chorus in the Beatles’ song “She Loves You”, after four members of the team posed for Diario Marca dressed in Beatles wigs. Miguel Munoz, the legendary Real Madrid midfielder had just retired at the age of 36. After a brief stint with the reserves side, he was given the responsibility for the senior team in 1959. As if his exploits as a player weren’t enough, he added even more honors to his resume as a manager. By the time he left Real Madrid as a manager and a player, he had won 19 major titles (Champions League and La Liga) plus a variety of other medals. He was also the first person to win the European title both as a player and as a manager. Some might say that this “ye-ye” team won a lot and on the surface it does seem correct. 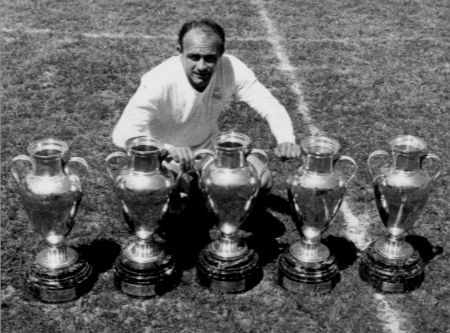 But one must take into account a very important factor – Alfredo Di Stefano. Although Munoz had been appointed the manager of Real in 1959, Di Stefano was still playing. Di Stefano was very good despite his advancing years and his domineering presence in the dressing room cannot be denied. It seems unfair to include his playing days in the “Ye-Ye” era. It was not until he departed from Real in 1964, the “hippie” era truly began. The years from mid 60’s were characterized by an era of innocent fun and the Spanish were not untouched by this feeling. They won their first international title in 1964 and there was a general air of well being despite Franco being in the saddle of the country affairs. 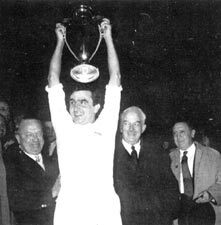 In 1964-65, Real won their domestic league and it seemed that “ye-ye” team might actually live to the daunting task of its illustrious predecessors. But what is undeniable is the fact that 1966 was a good year for the “Ye-Ye” team and the Madridistas. 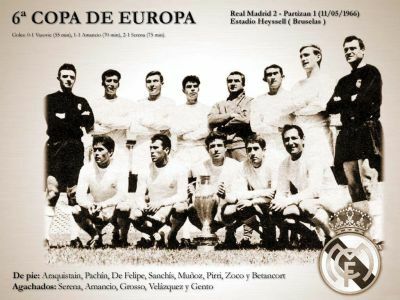 The Ye-Ye team finally got their European Cup in 1966, becoming the first team of all Spanish players to win it. The main star of the show was Francisco Gento, who was surrounded by other young Real Madrid talent including Manuel Sanchis Sr, Pirri, Amaro Amancio and Serena. All of these players featured in the top 100 players of all time in the club history. This was truly a glorious year for Real and Munoz, who had painstakingly assembled a completely “homegrown” squad. Not all the players were Real’s youth academy, but they all had Spanish nationalities. It seemed another glorious era was in the making and with Munoz at the helm , it seemed inconceivable that anything could go wrong. But it did go very wrong; at least in terms of European adventures. The team which used to believe that Europe was theirs by divine right did not win it for full 32 years, till 1998. It prompted the Madridistas to deem these years as “La epoca del desierto”. They could not win their beloved competition for several years to come. Of course, a couple of UEFA cups were there, but this was not something that Real wanted. UEFA cup was earlier known as “Inter Cities Fairs cup” or in Spanish “La Copa del Ferias”. If one played on words in Spanish the phrase could be translated loosely as “The Circus Cup”. Santiago Bernabeu had once famously said that he would never allow his team to play in a cup like this. But Real Madrid did play in it and they won it too. But that sense of achievement was missing. Of course, it depends on what one defines as bad or wilderness years. For all the talk about “desert” years, Real won 23 domestic titles in these 32 years with 16 La Ligas. It is just that Real had grown so much used to ruling Europe, that could not easily come to grips with a European drought. 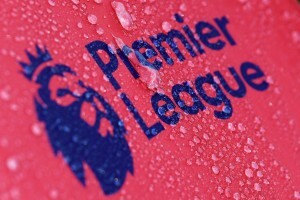 Just ask Cesc Fabregas what wilderness years mean, to get a fair idea. As a parting shot, just notice something: That Real have won just 9 major titles in last 22 years. And if one discounts the fact that 3 Champions League trophies came in quick successions of 6 years, it makes for even worse reading. Domestically, Real have struggled to impose themselves and even in Europe they haven’t much better. Has Real already been living in the “barren” years without realizing it? And is there another glorious era on horizon or it is just another false dawn? You decide.